Even the most courageous pirates need to stop from time to time to fill their belly! 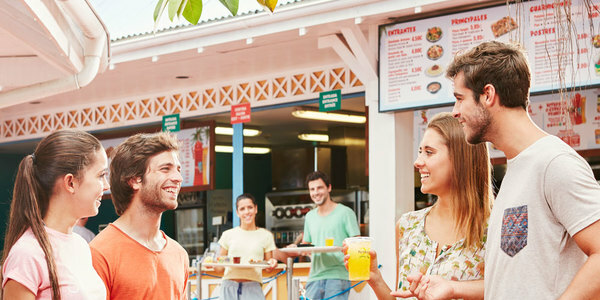 In the PortAventura Caribe Aquatic Park restaurants you'll find plenty of places to enjoy delicious food in an incredible Caribbean setting. 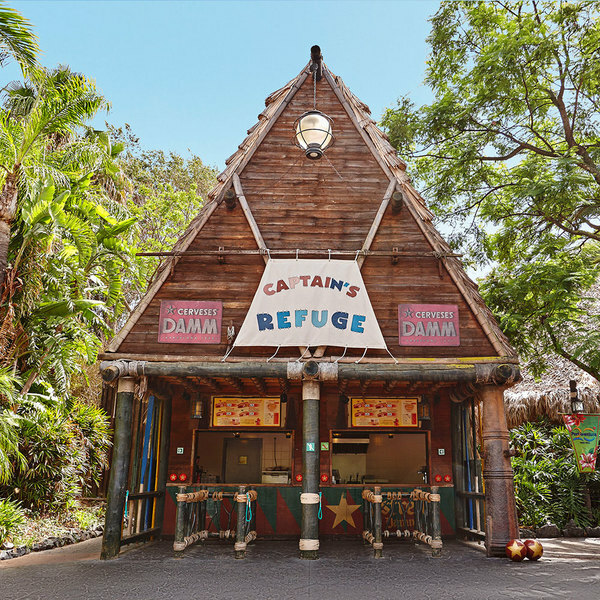 Get carried away by the Caribbean vibe while enjoying a delicious meal at Reggae Café. In this idyllic location you can enjoy salads, pizzas, fish, chicken, and chips. 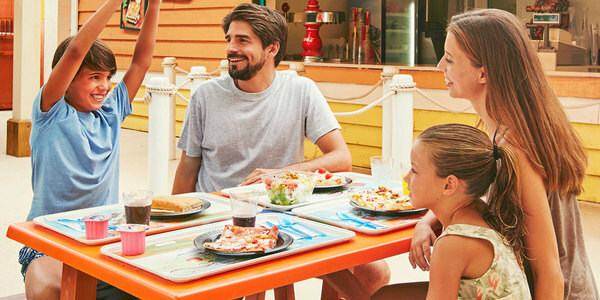 Taste the famous focaccia of PortAventura Caribe Aquatic Park in the open air and surrounded by palm trees and exotic plants. La Focacceria offers salads and focaccia inspired by the healthy Mediterranean diet. Even surfers need to rest for a while and get their energy back. Come to The Surfer and savour delicious burgers and hot dogs. Relax on the terrace with a refreshing drink and reggae music in the background. 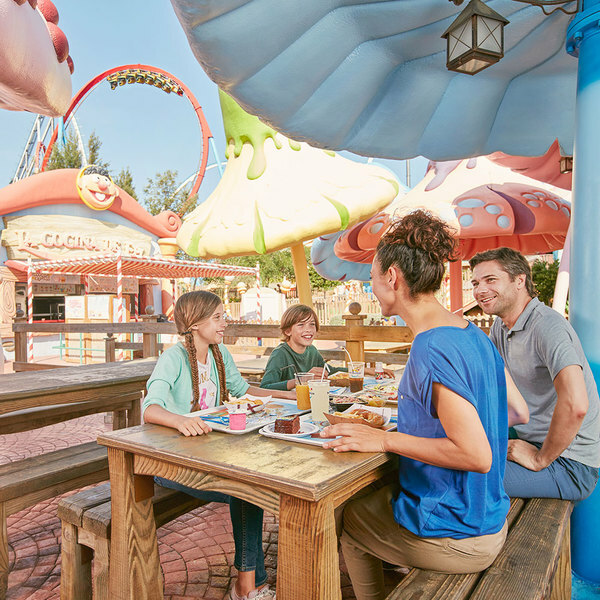 At PortAventura we know that time is precious. 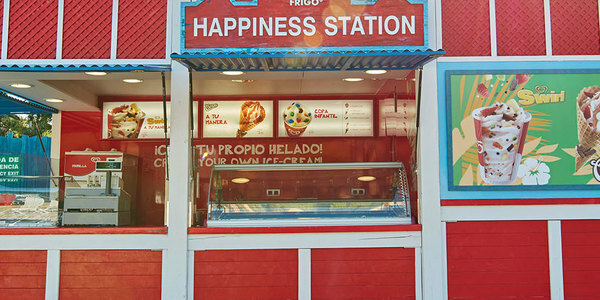 And if you don’t want to miss even a moment of fun, La Cabaña is the place for you. Combine your favourite soft drink with your choice from a variety of sandwiches and finish off with a delicious ice cream. 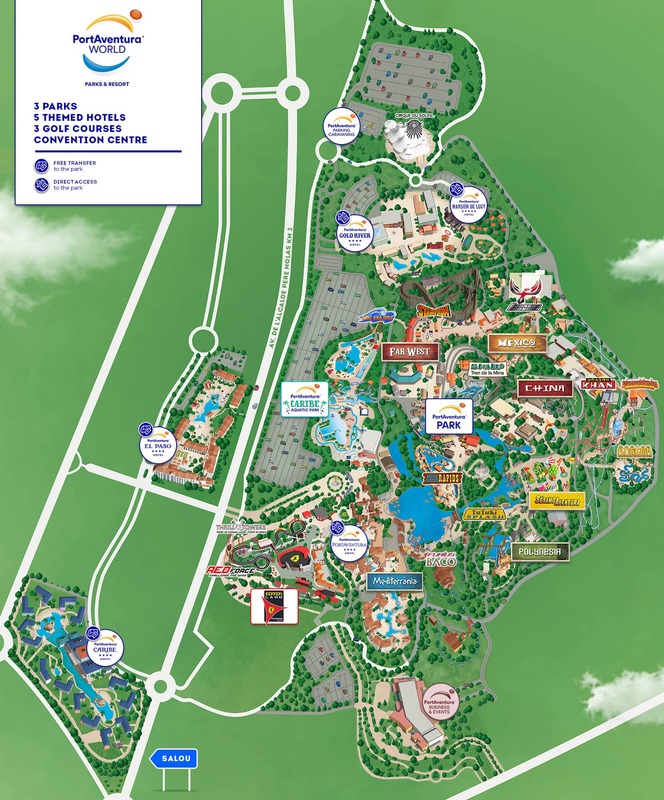 To ensure that you don’t miss out on a single moment of fun at PortAventura Caribe Aquatic Park, we offer a wide range of products for you to replenish energy without having to stop the adventure. Mediterrània are not just attractions and fun; Here you will also find the best restaurants of Mediterranean cuisine. The best atmosphere of the Mediterrània theme area is here! 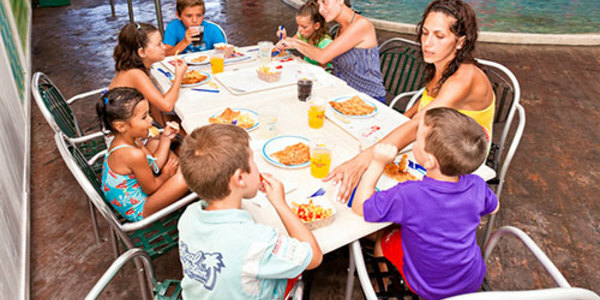 Everyone knows that strong emotions whet the appetite and in Polynesia PortAventura we do not want you to go hungry. Come to our restaurants and get strength for the rest of the day. 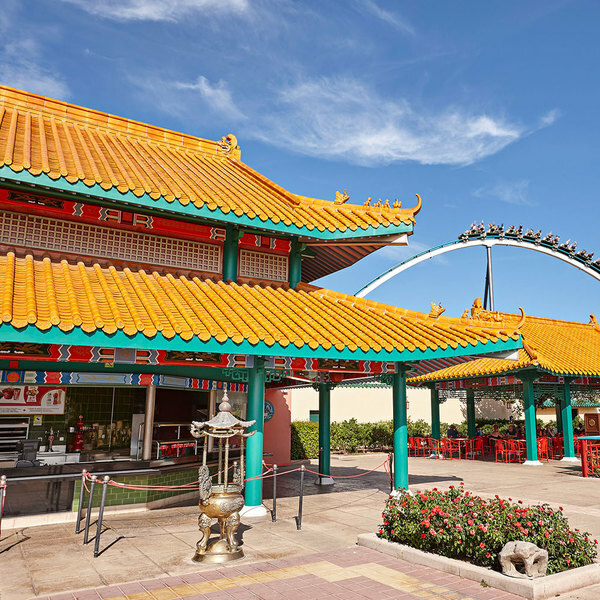 The Chinese gastronomy is characterized by the balance and consistency of the various foods. All this you can find in the different restaurants that we put at your disposal. 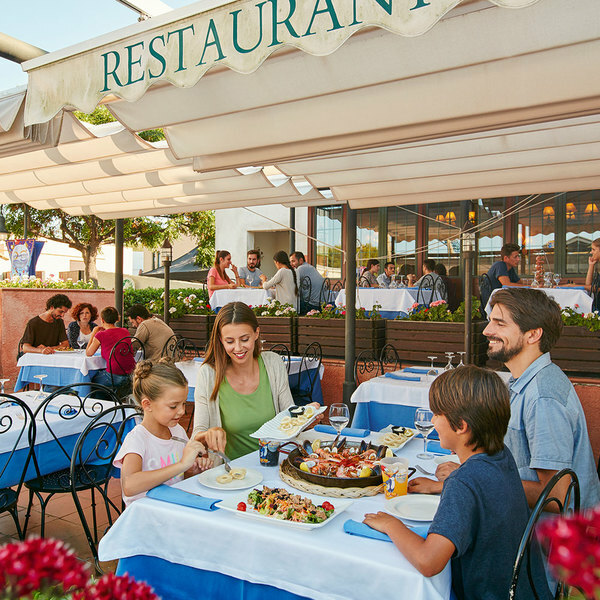 The wide Mexican gastronomy is very present in the PortAventura Mexico area. We offer you great restaurants where you can taste typical dishes that will take you to the purest Mexico. 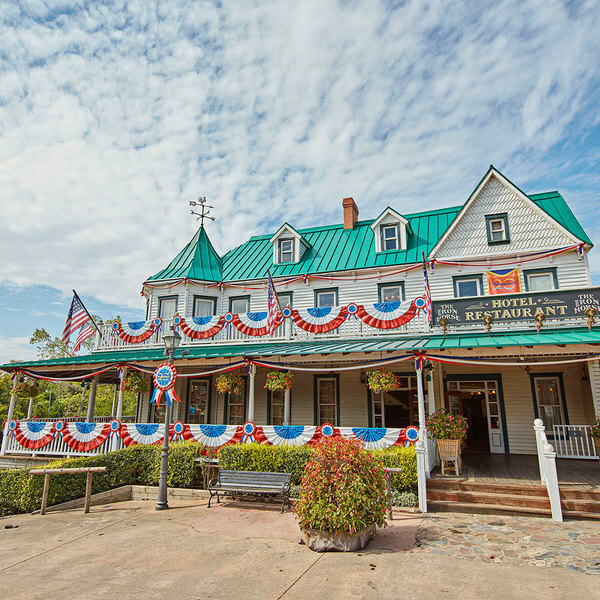 The most tasty of American food awaits you in our restaurants in the Far West area of PortAventura! You can taste incredible hamburgers, grilled meats or delicious pizzas. In Sesamo Aventura, Epi and his friends prepare pizzas, pasta, hamburgers or magnificent salads; Enjoy also an ice cream or a refreshing granita that will be great.